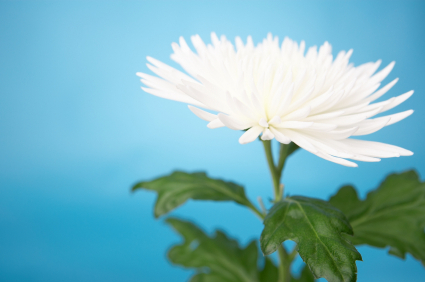 Both chrysanthemum flowers and green tea are used in Chinese medicine to gently clear heat which means it's perfect for hot summer days if done right. Caffeine is heat sensitive which means it's released when hot water hits the tea leaves (180 degrees Fahrenheit or more), so cold brewing tea means this recipe has almost no caffeine. The other benefit that cold brewing imparts is that it creates a naturally sweeter taste since tannins, which give tea that bitter taste, are also released by the high temperature of conventional brewing. With green tea, the hotter the water the more bitter it becomes; since hot water is skipped in cold brewing, the tea never has a chance take on that bitter quality. However, if you feel the need to sweeten it, use a bit of Agave or honey. 30 - 40 Dried White Chrysanthemum Flowers. You can order these from Mountain Rose Herbs or pick them up in most China towns. 1.5 tablespoons of Jasmine Green Tea. I'm a sucker for In Pursuit of Tea's Jasmine Pearls, but any good quality Jasmine tea will do. Get Your Cold Brew On! !